“Necessity is the mother of invention” meeting timely needs and urgencies, educational organizations remain on the toes for ensuring the academic progress. Most significantly these sessions and trainings support in attaining the academic objectives of pupils. Following are domains on which awareness sessions are conducted at school level. 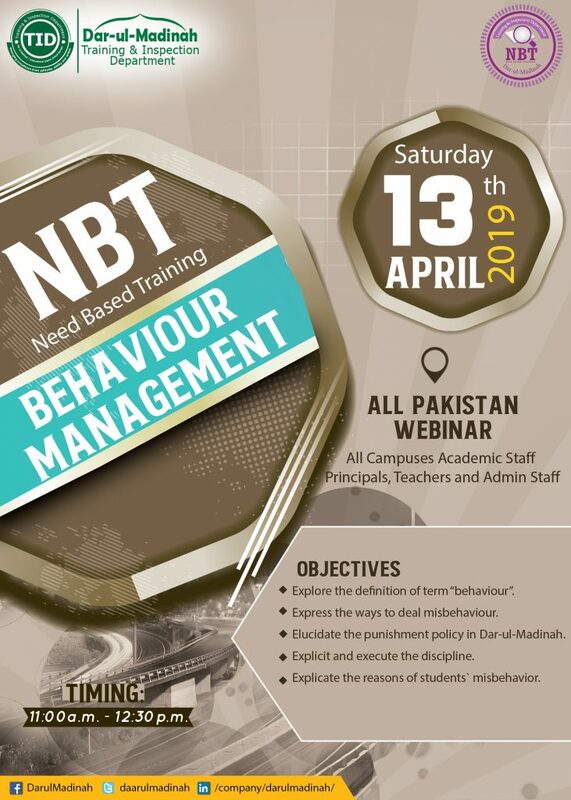 Apart from other successful scheduled programs of training department for teaching faculty, unscheduled and urgent Training and awareness sessions are also organized on the basis of immediate needs. Such as due to the security risks of country Safety awareness session were conducted on urgent basis and got due appreciation.